The Sea Gypsy V is the perfect boat for all your party needs. 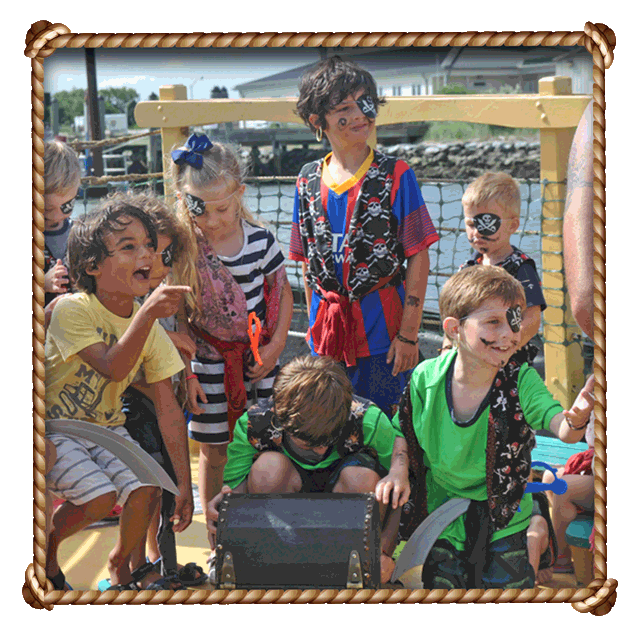 Experience our pirate adventure tour like never before that will keep your kids entertained from the minute you arrive. Parties require rental of the whole boat. Please Note: We require a 50% deposit at time of booking. The remaining 50% will be charged 24 hrs before your date and time of sail, at which time the payments become non-refundable (unless we cancel due to weather and you can't be rescheduled). This is for daytime adventures only. Pirates are passengers. Route and duration may vary based on weather and load. Charter your own private day-based Pirate Adventure! LETS SET SAIL & PARTY LIKE PIRATES!